Make your own fun in October! Fall can be such a fun time but there is more than just Halloween. 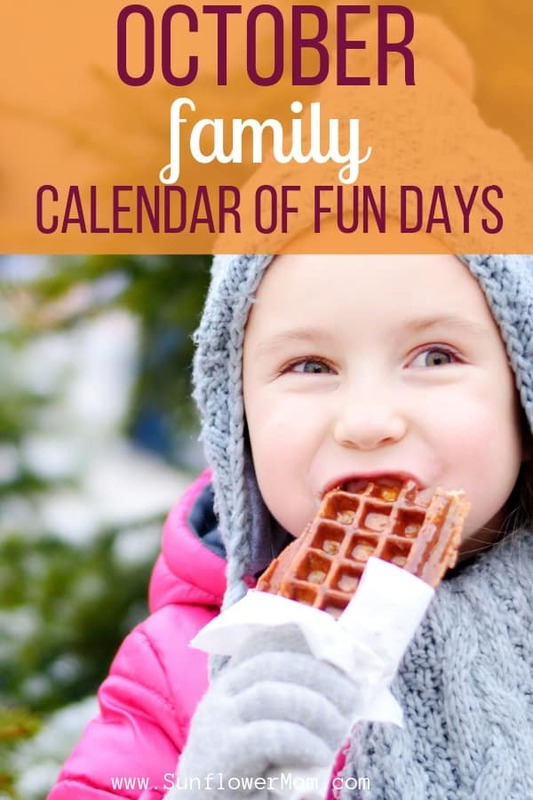 Check out this calendar of all the “official” family fun days in October! Print full list of October’s family fun days off from the resource library then highlight which ones you and your children want to do this month. It doesn’t have to cost any money, just celebrate everyday life! Here are some highlights. This is a good day to sneak some kale into your morning smoothie. If you normally have green smoothies and haven’t ventured outside of spinach, trust me kale is a great way to change it up! You can’t taste it. The health benefits of kale are amazing. As if we need an excuse to eat tacos, here you go! I love having a taco bar with my kids because there’s usually something they can help with the food prep plus since there are so many toppings, and the kids can make their own creations, they are more likely to eat at better dinner. Teacher Appreciation Week is in the spring but this “world” appreciation day in the fall is a great day to inspire your child’s teacher at the beginning of the year. Check this out for some ideas! Today is a day to bring out your inner silly day inspired by Mad Hatter from Alice in Wonderland. Just ask your child for ideas and go with it. Most kids are full of silly ideas, it will be up to you to go with the flow and your inner child on this one! If you don’t have a savings started, then begin here to learn about how it is totally possible to have a savings account as a single parent. If you do, then it’s time to educate your child about budgeting. It’s never too early for your child to start a savings account! One of my favorite things to do is send my Pastor an anonymous card thanking them for their service. Sometimes I will include a small gift card, maybe just enough for a cup of coffee, or I will explain how a particular service spoke directly to my heart. It doesn’t take long to send a card and can you imagine how hard it must be to get up every single weekend in front of hundreds of people who are sleeping or looking at their phones and try to speak encouragement? I’m not sure how many words of thanks they get, but you can be one of them! Try painting your pumpkin instead of carving it this year. It’s an activity your kids can do – no knives! Spend the day with your child making a difference in the lives of others using some of the ideas found here. My children had a blast the day I took them with me to perform 39 acts of kindness for others in one day! 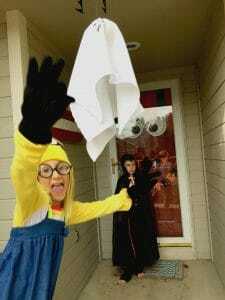 Check out how to throw your kids an awesome Halloween party! There are over 100 family fun days in October. This was just a sampling! To get them all, download them from the resource library. It’s free for email subscribers.